This is an update on the progress of the æternity ICO. It has been both exciting and stressful weeks since the æternity campaign ended. A lot of work has been done to make æternity a reality and the best is yet to come. Scaling an organization is tricky. Most startups fail because of this reason. It is easy to coordinate when you have 5 people on the team, but a group-size above 10 easily becomes chaotic. By all means, æternity has been very efficient in handling operations so far. Scaling these operations and restructuring the team has been quite difficult during the past weeks. On a good note, the tech team is growing well and once we have thoroughly tested the new setup, we will announce the new hires. Many of you have been approaching me directly, and yes, I have not been able to follow up on everything. I would like to apologize for this. 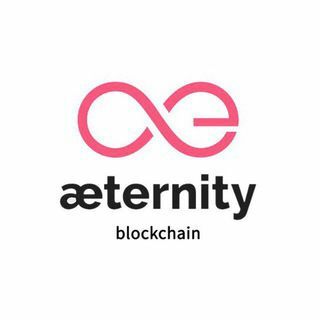 If you have any important questions or comments, please reach out to someone from the æternity team, they are doing a great job of following up with you. Unlike most of the other Ethereum ERC20 token campaigns, we chose to collect not just ETH but also BTC. Fundamentally, this makes the process more simple, but at the same time the aftermath becomes more complex. In the morning of the official phase 1 launch, we were doing some last checks with testing addresses on wallet.aeternity.com, while this domain was kept secret. Unfortunately, one of our webdevs linked from the banner on the website to wallet.aeternity.com and several people sent to these test addresses. People who sent to these test addresses will receive the correct amount of AE tokens, covered by æternity’s 17% pre-allocation. We experienced some technical issues with the campaign wallet. There was a caching issue causing a confusion for people who chose BTC. Luckily no BTC was lost. The price API (CryptoCompare.com), which was used to calculate the CHF amount, delivered for one day 0 (zero) CHF for ETH and BTC contributions. We needed to re-implement the back-end during phase 2, which also caused a lot of confusion. Read more about this issue at our blog. Because of the issues we had far more work then expected. Big thanks goes to the support team. æternity is based in Liechtenstein because of it’s strong financial background and openness to fintech. We are the first blockchain startup in Liechtenstein, which brings many advantages, but also some challenges which needed to be addressed personally by me over the past weeks. This needed to happen before the AE token contract gets launched. Good news: We are on track and the token contract will go live very soon. And the more I try to figure out how legacy governance system works, the more I am convinced that we are building really great stuff here. Foundation creation. I am still taking applications for board members personally. Additionally to the Liechtenstein foundation, we are also exploring other options around the globe. AE token contract: contract code on GitHub. We chose to keep the smart contract as simple as possible, so that nothing can go wrong, except if Ethereum breaks as a whole. After public verification the token allocation will be finalized by æternity. AE token contract allocation: because of the price API bug, we have re-implemented the back-end from scratch as explained above. This is done now and only needs to be verified one last time before we publish the code on Github. There have been phishing and impersonation attacks on Slack and Telegram. Be careful and only follow instructions given on official channels e.g. our blog or website. The current double digit volatility of the crypto markets is prohibitive to launch a new token. Most important thing: Keep your private keys (seeds) save! People who have sent from hardware wallets (ETH and BTC) need to keep their hardware wallets save. No further action required at the moment. Zack’s off-chain markets implementation on top of æternity has finally passed its tests. We have gotten several senior Erlang developers involved, who are constantly adding more value to the project. The æpp space is moving forward. First designs got tested with users and very well accepted. Thank you for your understanding and ongoing support!